Don't let downy mildew get you down! Due to the problems with downy mildew (see below), which affected many traditional Busy Lizzies (Impatiens walleriana) across the UK last summer, we have withdrawn traditional Busy Lizzies from our range this year. However, we have some beautiful tried and tested alternative varieties for you to try! The New Guinea Busy Lizzie types are not affected by downy mildew and are an excellent alternative to traditional Busy Lizzies - and New Guinea Busy Lizzie Divine is one of the best! 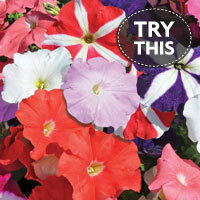 Alternatively try other traditional bedding plants such as Petunia Frenzy, Begonia Inspiration or Geranium Jackpot. 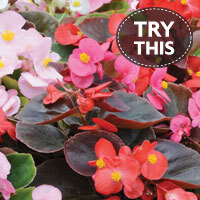 With larger flowers than ordinary Busy Lizzies, the New Guinea types make superb bedding plants! Petunia Frenzy Mixed flowers prolifically - perfect for mass planting in beds and borders. With sturdy plants, beautiful irridescent blooms and unusual bronze and green foliage, 'Inspiration' is tolerant of both drought and damp - perfect for our unpredictable climate! 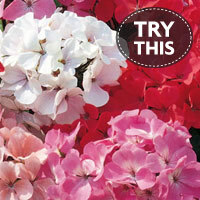 The intense flowers of this impressive geranium are perfect for your pots and borders! Downy Mildew is an airborne fungus which affected traditional Busy Lizzies (Impatiens walleriana) last summer. Worsened by humid conditions, plants can be specifically infected following a wet spring. Infected plants have yellowing leaves and a characteristic white fungal growth mainly to the undersides of the leaves. This is followed by leaf loss. Plants will eventually die off. Affected areas should be rested from growing traditional Busy Lizzies for at least a year to avoid recontamination. 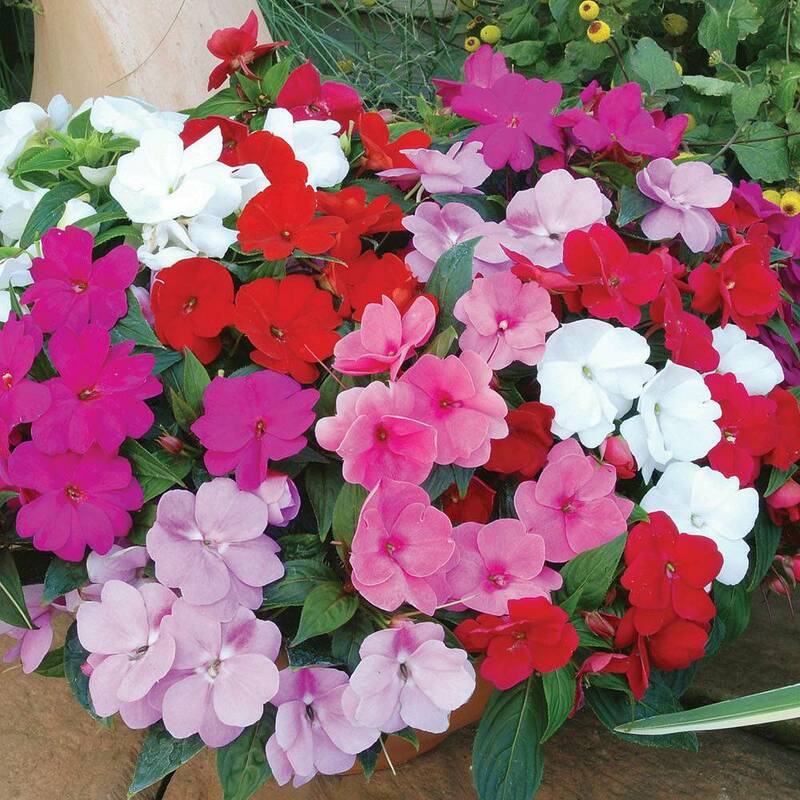 The disease is only specific to the common Busy Lizzie (Impatiens walleriana), so other bedding plants, including New Guinea Busy Lizzie types, can be grown without risk.